EARLY steam market leader Beamish Museum has recreated a LNWR ‘Crewe tractor’ road-rail vehicle. Based on more than130 vehicles adapted by the LNWR at Crewe works in 1916-17, the project at the County Durham museum is the first phase in a multi-part programme of restoration work on three Ford Model Ts. The inspiration for the ‘Crewe tractor’ is said to have come from the daughter of the LNWR’s Chief Mechanical Engineer, Charles Bowen-Cooke, who had become aware of a lack of powered transport on the lightly-laid tramways operated behind the trenches across France and Belgium in the First World War. 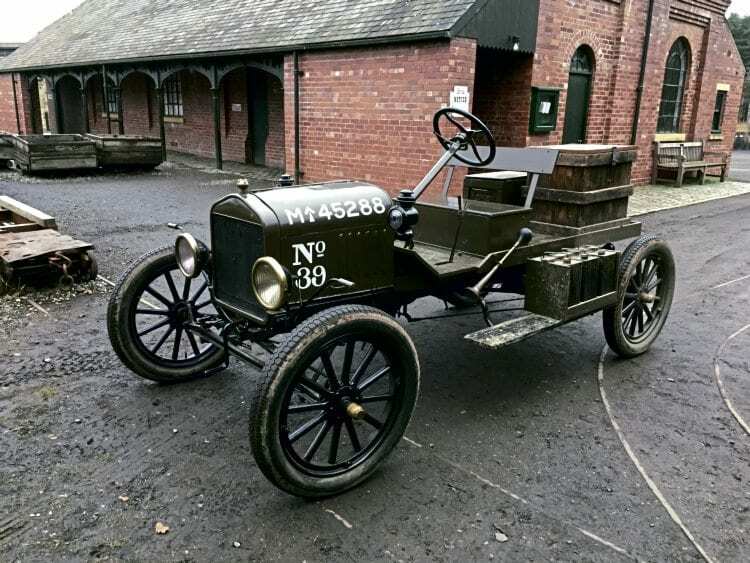 The design saw the adaptation of a standard Ford Model T (manufactured in Trafford Park) complete with a lightweight utility body and kit-form railway chassis. Within one hour, they could be adapted from road trim to a 2ft gauge locomotive with load space. They did not form part of the War Department Light Railway fleet, rather being part of the motor transport pool – and were marked and numbered as such. It seems that the design was of indifferent success, and all remained in railway guise once so converted, possibly down to convenience but also perhaps owing to the poor state of the roads at that time, even though the design was more suitable for off-road work than might be expected.